You are invited to Strauss Restaurant, where relaxing in style meets delicious food and friendly service. 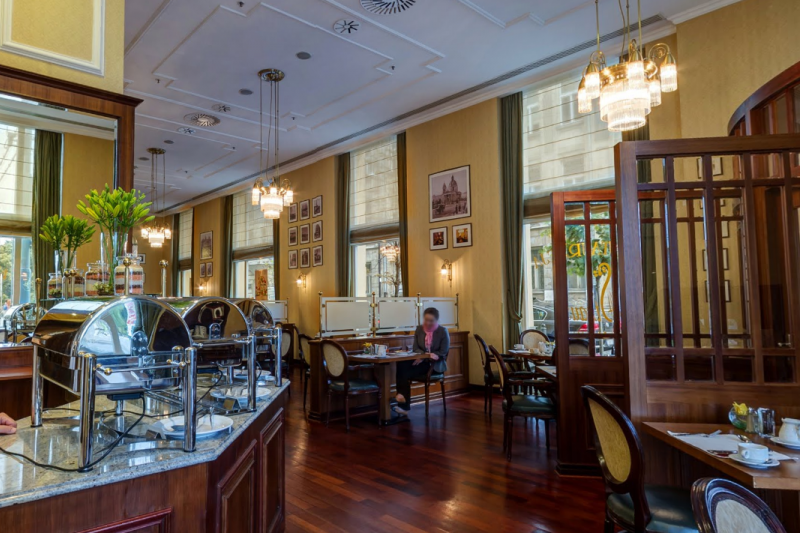 Settle into your comfortable chair and select from the inspired combination of European and Polish cuisine in our central Warsaw restaurant. Our Head Chef Grzegorz Goleń is pleased to offer his personal recommendations. Discerning diners prefer a menu that changes depending on season, and as such, Chef Goleń creates unique and delicious dishes using seasonal fish, poultry, fruit and vegetables. Fridays offer something unusual, in the form of a Polish Evening we offer to experience some true Polish dining served in a modern way.